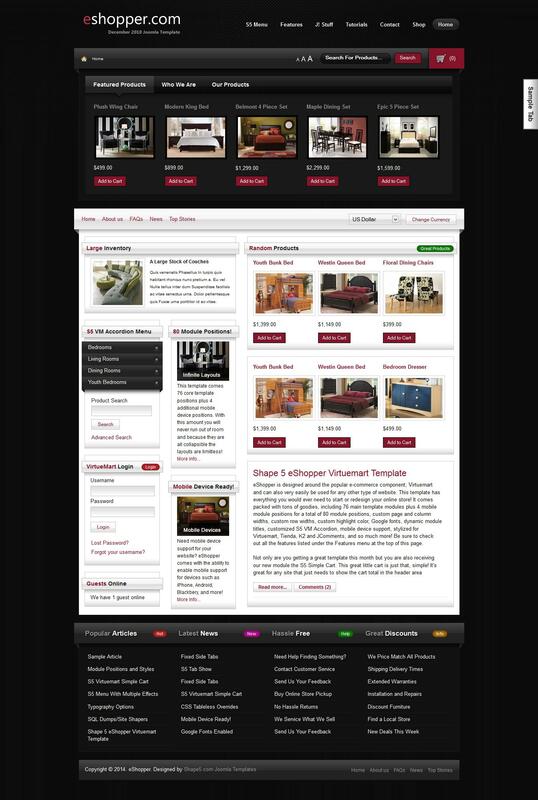 S5 eShopper - next update professional template for furniture online stores, from studio Shape5. Has full support for Virtuemart component and K2, as well as all their extensions, flexible and easy to setup. Includes the following extensions: 3rd Party Stylings for Tienda, Virtuemart, JComments and K2. Contains 76 module positions and 4 menu system. Full support for versions of CMS Joomla 1.5 - 1.7.